.Neville was born in in the far north west Queensland mining town of Mt Isa. He is from four generations of pastoral families. His father, Buster, had grown up on Tobermory Station near Urandangi, while his mother Mary, was a Finlay from Norfolk Station via Camooweal. Neville’s parents met at the Camooweal races. Buster worked at Tobermory and then ventured with his small family to make his own way in the Northern Territory. In 1966, soon after Neville’s brother Ashley arrived they went to live on a cattle property called Ooratippra Station. Their new home was so remote it took 4 hours to drive to Alice Springs for groceries. Alice Springs, the nearest town, was 430kms away. Their nearest neighbour was 70kms away. 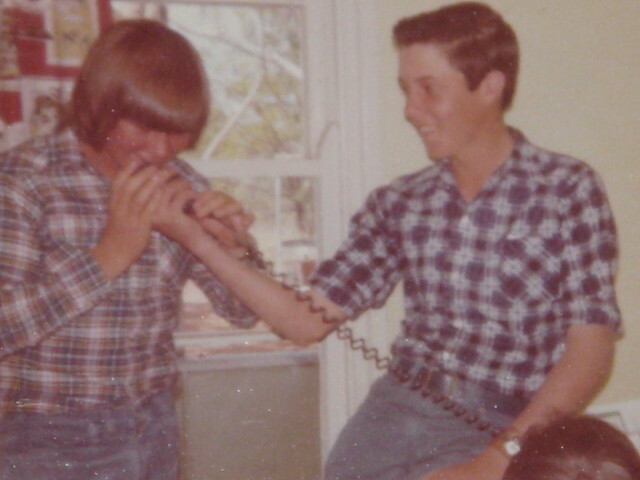 Neville began school in 1969 through the Australian School of the Air, which enabled isolated children learn from home via correspondence and daily lessons over the two way radio. During this time Neville, like all bush kids, learned how to ride a horse, help work the stock and fix windmills and fences. School often finished at lunch time and then he was off with the men to do whatever they were doing. 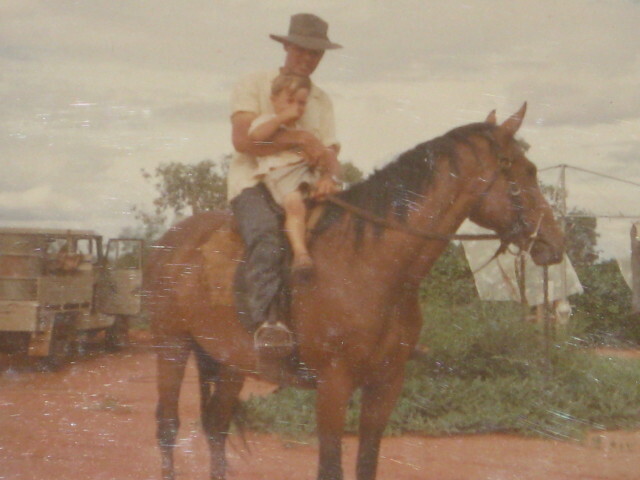 The Anderson’s managed Ooratippra Station until the mid seventies when they moved back to Tobermory doing contract mustering and then to Mt Isa. 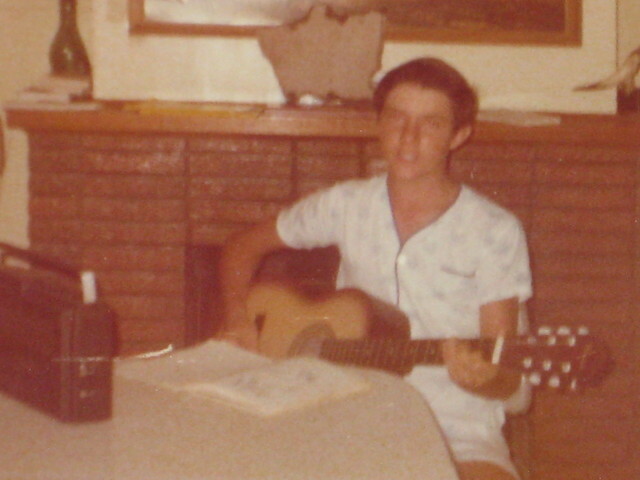 It was while attending St Kirans College in Mt Isa that Neville was introduced to the guitar. He was finally able to provide the music for the songs that he had been memorising for a number of years. Before too long, Neville was providing entertainment for friends and family. In 1977, the Anderson’s returned to Ooratippra Station as part owners and Neville went to the Rostrevor College, a boarding school in Adelaide. He was a prefect and the School captain in 1980. He played rugby union and threw discus for South Australia in the 1981 State Schools Championship. All the while he was developing his skills as a performer and song writer and was affectionately called “Slim” at boarding school. Between 1982 and 1985 Neville attended Murdoch University in Perth, Western Australia, graduating with a Bachelor of Arts in Economics. 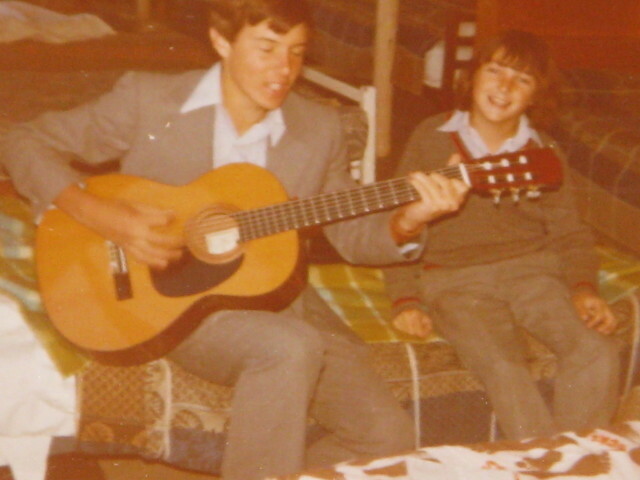 While he was at university he began playing music with several local bands and performed at various venues and festivals. The Manning Hotel was the heart of the Perth country scene and Neville was a regular performer on Monday nights. Although his album “True to Country” is his first album he released a single in 1983 with a song about the tragedy of Azaria Chamberlain, a baby girl taken by a dingo at Ayers Rock near Alice Springs. The song was called “Mystery” but was prevented from receiving air play due to the sensitive nature of the incident. All 500 copies of the single were sold and the proceeds spent on a race horse called Sharp Moon who won one race in Camooweal. In 1986 Neville started work with Shell Australia in the Perth office. Over the next 15 years his work took him to Kalgoorlie, Sydney, Brisbane, Melbourne, Tamworth and then Newcastle. Since 2003 Neville has been in a partnership with his brother in-law, hiring equipment to construction sites. His family has a property in the Hunter Valley, near Denman where his parents and brother still work with horses and cattle. Neville performs regularly at country venues around Newcastle and at Festivals and events around Australia.